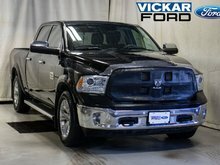 Get yourself into 2016 5.7L HEMI VVT V8 Ram 1500. 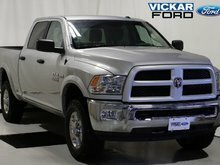 Well equipped with leather bucket seats, tire pressure monitor, keyless entry, automatic headlights, rear under-seat compartment, leather steering wheel, temperature and compass gauge, LED interior lighting, 8.4inch touchscreen, auto dimming rear view mirror, power folding side view mirror and so much more! 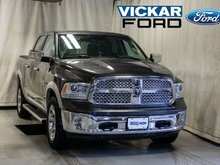 Come check it out and enter in for a chance to win a free car no purchase necessary! 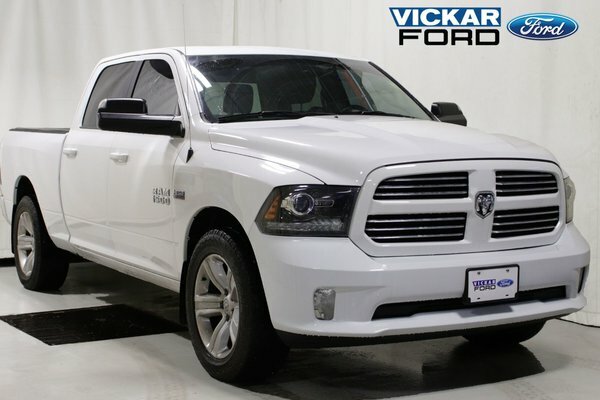 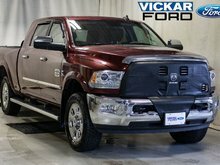 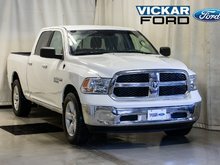 Only @ Vickar Ford 2000 Main St.
Want to try the 2016 Ram Ram 1500 Crew Cab 4x4 Sport w. Leather & Sunroof & 5.7L Hemi ?